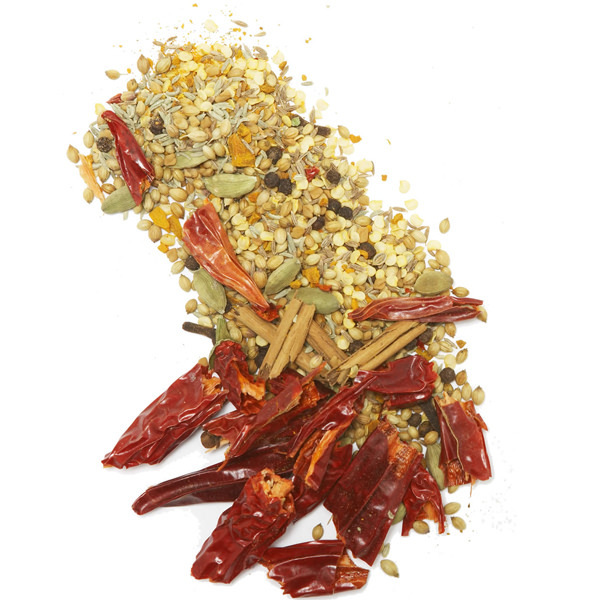 Another wonderful, authentic masala from Kerala, India, with plenty of chilies and green peppercorns. Perfect for seafood and fish. We adored this Meen (“fish”) Masala the first time Auntie Sainaba made it for us. 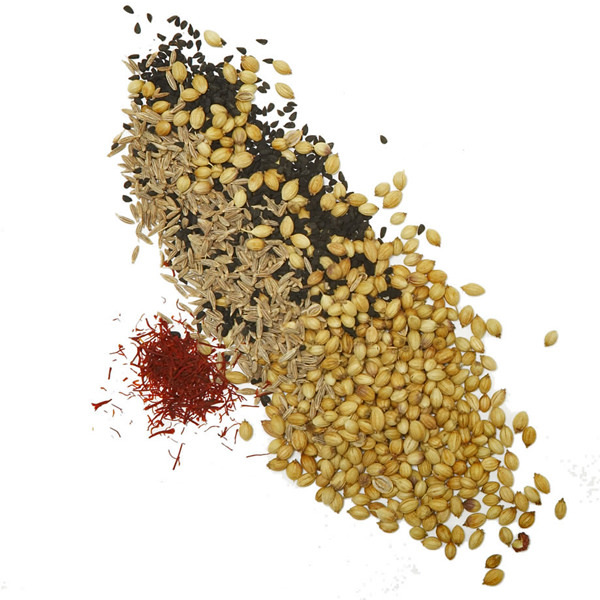 The tradition in Kerala is to make Meen Masala with fresh peppercorns and curry leaves. 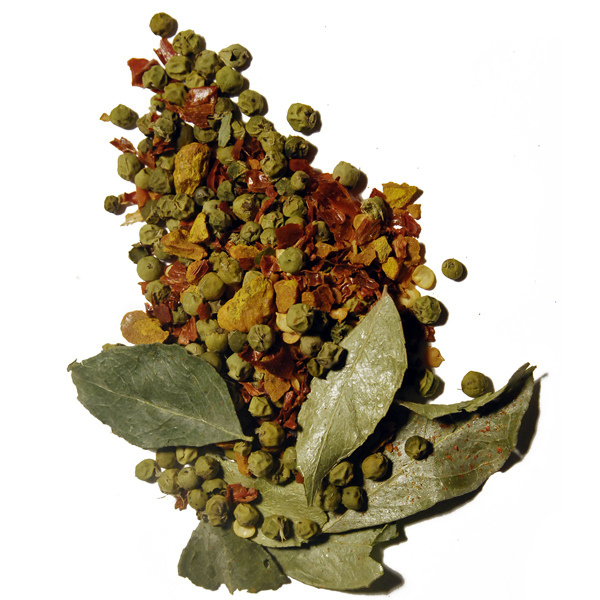 This Spice Trekkers version pairs early-harvest green peppercorns with freeze-dried curry leaves. It closely approaches Auntie Sainaba’s original. 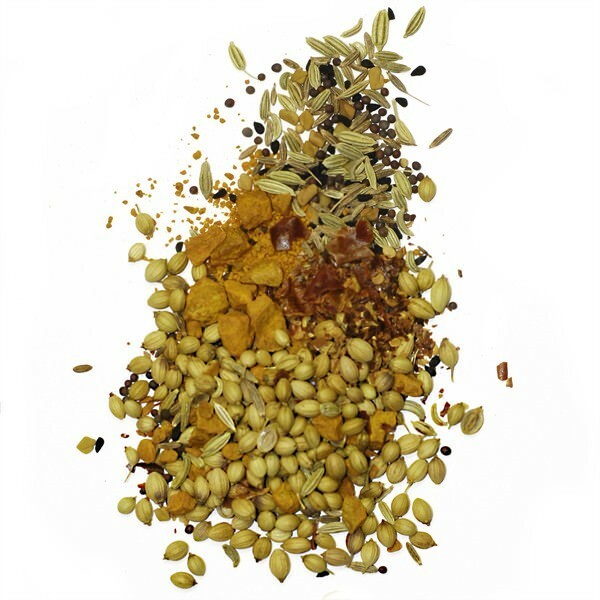 The ideal blend for fried fish and seafood. Ingredients: green pepper, turmeric, chile, curry leaf.